This article is a continuation of our previous article on identifying a problem/s that your startup can solve. Every year, it’s “new year, new you”. But maybe just once, maybe this year, it could be “new year, new business!” Ever had the random thought of starting a small business but came up with the many standard excuses including: “never really got around to it”, “too busy”, “can’t be bothered”, “sounds like too much work”, etc., etc. Maybe 2017 is not just your year, but the year of your startup? The year that you pull that startup idea from the back of your mind and manifest it into a profitable reality! Well, this guide should get you started after you’ve identified what you want to do. If you don’t have any of these, get back to it! The next step to ensuring a successful startup, after identifying a problem, is to solve it. 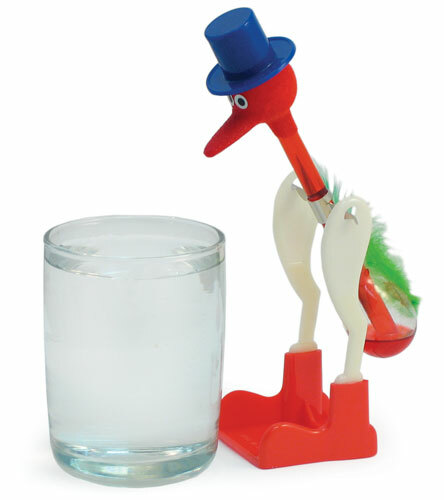 I recently bought a drinking bird for my office desk, and it made me think about my 3 P’s concept for small businesses and startups: Passion, Patience, and Persistence. You can learn more about them in Social Media Marketing Done Right. Basically, the bird has the passion for drinking, patience to drink when it can, and persistence to keep on drinking no matter what. So what you should take from this part is to just keep thinking like the bird keeps drinking. You’ve got the what, who, and why, now you’re looking to develop the how. Everything in business and marketing starts with an idea, but the only way successfully execute that idea is to form a solid strategy. There are a lot of factors to consider when deciding which strategic approach/es to pursue and how to develop it/them. Our article The Briefest Guide to Small Business Strategy discusses the five main approaches to business and marketing strategy to consider, as devised by Reeves and Haanaes in their journal article “Your Strategy Needs A Strategy: How to Choose and Execute the Right Approach”. These include Classical, Adaptive, Visionary, Shaping, or Renewal. Today’s digital world is endlessly expanding; almost as if Tim Berners-Lee’s introduction of HTML at the start of the 90s was a digital “Big Bang”. The Internet is an ever-growing virtual blob of everything ever (and we wouldn’t have it any other way). That’s why it’s essential for every startup to be online. There are many different forms of internet marketing that you can adopt in order to reach your strategic consumer groups. You can understand the different frameworks involved in our article Defining Your Internet Marketing Strategy. But the most important form, nay the most significant form, nay the greatest form there ever was, is social media. Social media is the epitome of Web 2.0 and the various social media sites house millions upon millions of users from all stretches of the globe. It’s the fastest, simplest, and cheapest way to reach, captivate, and capture consumers — but all to no avail without a proper social media marketing strategy. You can gain a crucial understanding (pun intended) of how to develop a suitable social media marketing strategy in our concise articles: A Successful Start With a Social Media Strategy, and Social Media Marketing Done Right. Following on with your internet marketing strategy is the concept and art of Search Engine Optimisation (SEO) and Search Engine Marketing (SEM). They aren’t necessarily supposed to be a strategy in themselves, but rather mandatory aspects of your overall marketing strategy. Learn all about How to Create an Effective Marketing Strategy for your Small Business in the linked article. A famous yet unconventional approach to a startup strategy is the Blue Ocean Strategy. Devised by professors W. Chan Kim and Renée Mauborgne in 2005, the Blue Ocean Strategy is the simultaneous pursuit of differentiation and low cost to open up a new market space and create new demand. Our two-part series should answer all of your questions about how it works and why you should know about it. Customer Relationship Management (CRM) is a key aspect of developing your startup strategy. It deals with not only attracting and acquiring customers but also retaining them and transforming them into sustainable, profitable long-term customers. 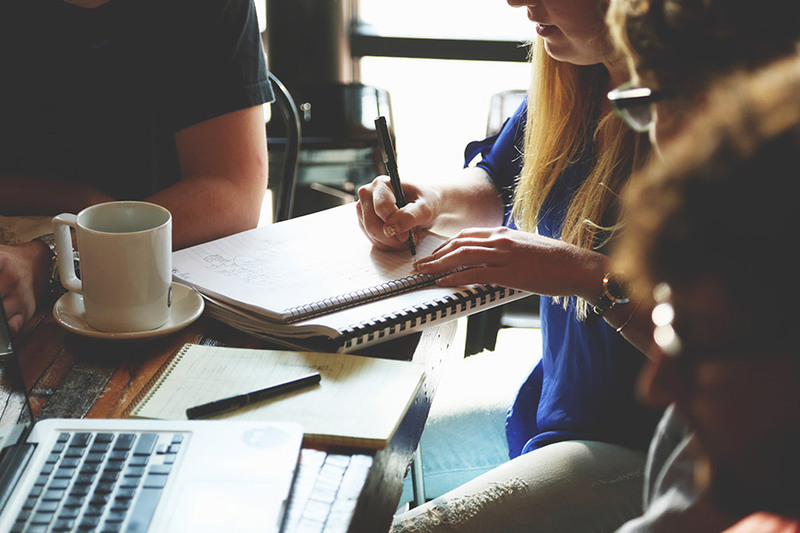 Check out our two-part series exploring CRM and how it can be applied to a startup situation. So, by now you should’ve developed a detailed business and marketing strategy, with the hopes of driving your startup to success with constant growth. But now there’s only thing to do, start the business! We have the perfect article, called I Want to Start a Small Business, Where do I Start?, detailing the process of starting a startup in Australia, starting with registering an Australian Business Number (ABN) and highlighting the importance of a reliable web hosting service in the process. Also, have a read-through of Small Business: Getting Started Online before you make any rash decisions while taking the brick-to-click journey. Or, if you’re looking to create a simple blog, check out our short guide to Starting Your Blog in 5 Simple Steps.